Influential musician Dean Wareham, the go-to man for the Andy Warhol Museum when it wants a film soundtrack, returns to his homeland with his reformed band. Luna play at The Tuning Fork, Auckland, on Saturday 19 September and Moon, Wellington, on Tuesday 22 September. 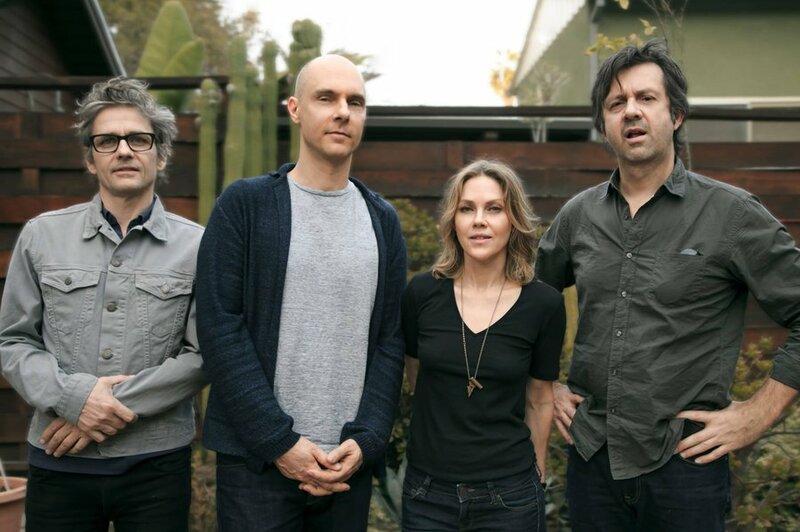 Last seen in New Zealand in 2011 playing the songs of his first band, Galaxie 500, alongside his wife, Britta Phillips, Dean Wareham is a rock and roll survivor and passionate advocate – and student – of the noisy arts. He’s seen a fair bit, and been through a fair bit more, as his autobiography Black Postcards (2008) frankly reveals, although recent years have found him sounding considerably more at peace with himself and his craft. While his music undeniably stands on the shoulders of iconic New York artists like the Velvet Underground and Television, and the evocative distressed croon of the Lee Hazlewoods and Serge Gainsbourgs of the world, his own musical signature continues to develop, and he has long since grown out of the enormous shadow his inspirations throw. Now based in Los Angeles, where he moved last year to be closer to his teenage son, Wareham was born in Seatoun, Wellington, in 1963 and spent a chunk of his early life here. The mongrel accent he sports manages to encompass a slight southern hemispherical lilt picked up in his early years in Wellington and Sydney, with dominant New York overtones. It’s a decidedly odd mix that befits an unusual journey. Although the family moved to New York in 1977, at a time when the city’s music scene was surfing the crest of a particularly fecund wave of creative talent and adventurousness, Wareham still has musical memories from his homeland. As even a cursory glance at his highly recommended tumblr site, where he posts an essential series of songs of the week, quickly shows, Wareham remains a card-carrying member of the devoted, adventurous and insatiably curious musical tragics society. Some might say it takes one to know one, and our conversation is peppered with delightful tangents of shared favourites he has highlighted, ranging from glorious slept-on Australian post-punk act God to the distinctive LA-based Welsh singer Cate Le Bon (no relation to the Duran Duran fop frontman). The purpose of Wareham’s imminent return visit to New Zealand is the reformation of Luna, the band he launched with ex-Chills bassist (and creator of the excellent High Road webseries) Justin Harwood and former Feelies drummer Stanley Demeski in 1991. This incarnation of the outfit is a later version, including Harwood’s successor, Britta Phillips, guitarist Sean Eden and drummer Lee Wall, although Harwood will be guesting at the Auckland show. Remarkably, this will be the first time Luna have ever played here. From the outside at least, Luna appeared to split in a natural and predominantly un-antagonistic way. I wonder if that made possible being able to reform for these shows in a seemingly similar fashion? Does he listen back to his old records? Most artists rarely do, but I imagine when you return to something after such a long time it’s necessary? Along the course of a musical journey that spans almost a quarter of a century, Wareham has been afforded the chance to play alongside, and amongst, many of his heroes and inspirations, with Tom Verlaine guesting on Luna’s third album, Penthouse, and Sterling Morrison playing guitar on two tracks for Bewitched, just two years before he died. He brought the 13 Most Beautiful… Songs for Andy Warhol’s Screen Tests show to the New Zealand Festival in 2010. The Velvet Underground connection goes far deeper, and remains at the core of Wareham’s musical being. It’s also a two-way street, with the seminal NYC outfit requesting Luna support them on their 1993 European reformation tour. More recently, the Andy Warhol Museum has tapped him twice to help provide scores for previously unseen Warhol footage. Together with wife and musical partner Britta Phillips, he brought the 13 Most Beautiful… Songs for Andy Warhol’s Screen Tests show to the New Zealand Festival in 2010, while last year’s Exposed: Songs for Unseen Warhol Films saw the pair recruiting Tom Verlaine, Suicide’s Martin Rev, Bradford Cox of Deerhunter and The Fiery Furnaces’ Eleanor Friedberger to help provide live scores for 15 hitherto hidden Warhol films. It’s dizzying stuff, but Wareham, while acknowledging some great fortune and opportunities on his route, remains feet on the ground even if his head, and music, may still sometimes be way off in the clouds. He makes for a gregarious and animated interview subject. Despite an accomplished and rich history, and some songs that are right up there with the best of them, Wareham ultimately remains a musician’s musician in the best way: one whose passion divines in such a manner that it is best picked up by keen ears and highly developed sensibilities. Rather than damning him with the “most under-rated” cliche that perennially curses artists appreciated by critics and peers but perhaps a little too smart and knowing for the popmart punters, he’s more of a man out of time, one who always arrives a little too early or too late for the party. Well, Galaxie 500, who were undoubtedly influential on a number of bands and scenes, were being tagged as dream pop or shoegaze nearly 30 years ago, and those terms are even more shamelessly bandied about and prevalent today. Luna were arguably at their most popular when they were dropped by their label and publishers. Jim Pinckney is a broadcaster, DJ, music writer and head of the record label Round Trip Mars, whose artists include SJD. You can find more of his work at stinkyjim.com. Want the full ARTicle in your inbox?